One of the last century’s most accomplished thinkers, British mathematician Alan Turing lived a life full of scientific accomplishments, as well as persecution. He is most famous for being the founding father of computer science and also the inventor of the Enigma machine used to crack Nazi military codes, giving the Allies an upper hand in the war. Less known are his contributions to molecular biology, but of no less importance. A group from the Multicellular Systems Biology lab at the Center for Genomic Regulation confirmed one of Turing’s findings from a biology paper published in 1952, which discusses how fingers are formed. In his only ever published biology paper, Turing sparked a novel debate over pattern formation. He developed a mathematical model which showed a system with just 2 molecules could, at least in theory, create spotty or stripy patterns if they diffused and chemically interacted in just the right way. Over time, this theory has come to be accepted as a viable explanation for zebra stripes and even the ridges on sand dunes. As far as embryology is concerned, like the formation of fingers, the theory has been met with skepticism. This is the detailed embryo limb and the network topology of the Bmp-Sox9-Wnt (BSW) model. Credit: Luciano Marcon and Jelena Raspopovic. The two lead authors, Jelena Raspopovic and Luciano Marcon, combined empirical data and numerical computations in an integrated form known as systems biology – the experimental findings were correlated with the models and found to be accurate. Previously, the team found evidence the that the fingers and toes are patterned by a Turing mechanism, but the Turing molecules themselves escaped them at the time. In the present study, the researchers identified these molecules after screening for the expression of many different genes. Two signalling pathways stood out: BMPs and WNTs. They then ran a model which sought to find which was the most efficient compatibility between the two; results showed a third molecule, the non-diffusing Sox9, linked the the other two. Yet another model was made to predict what would happened if BMP and WNT were inhibited, namely how would this effect finger development. 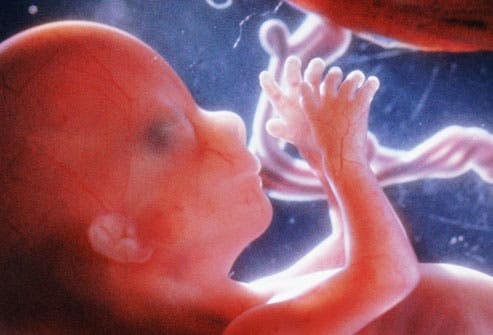 Strikingly, when the same experiments were done on small pieces of limb bud tissue cultured in a petri dish the same alterations in embryonic finger pattern were observed, confirming the computational prediction. Ever wondered how the cells in your body know how to lineup perfectly, so they might form a macroscopic structure? Think of your organs, the brain, your hands, every cell in your body knows where it’s supposed to know and when to stop expanding. One idea proposed by Lewis Wolpert states that cells know what to do because they all receive information about their “coordinates” in space. The present findings suggests that local self-organization is far more important. As a mental note, I find it absolutely stunning that Turing’s work has been proven right 62 years later using computers, which he fathered one way or the other. If he only had lived to see these times.